Download the Tournaments policy here. Congratulations to the Onslow Amritsars (pictured above), winners of the Grade 9 section of the Wests Graded Champs last Saturday. 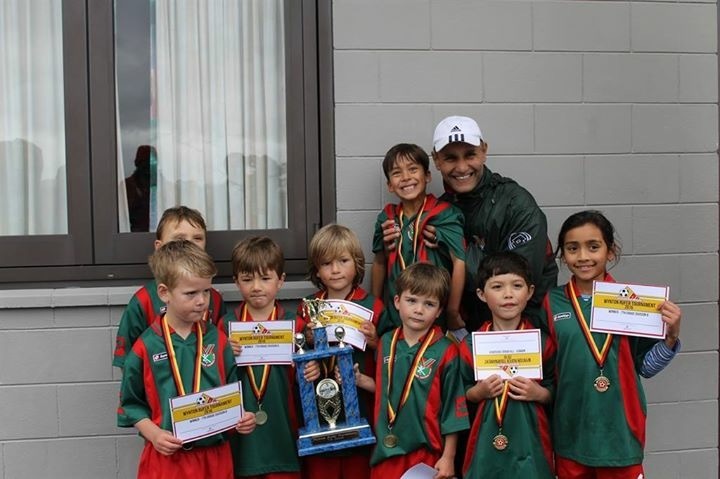 OJFC had a very successful Wynton Rufer Tournament this year. Some of our results are below. 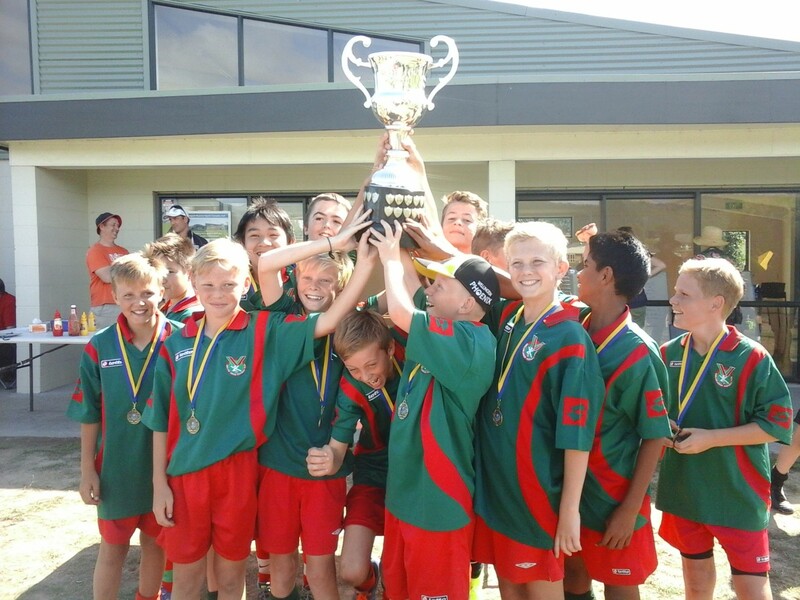 There is a fantastic collection of photos of the winning Grade 7 Onslow Red team which can be found on the Photos page. Congratulations to all of our teams who took part it looks like it was an amazing day had by all. 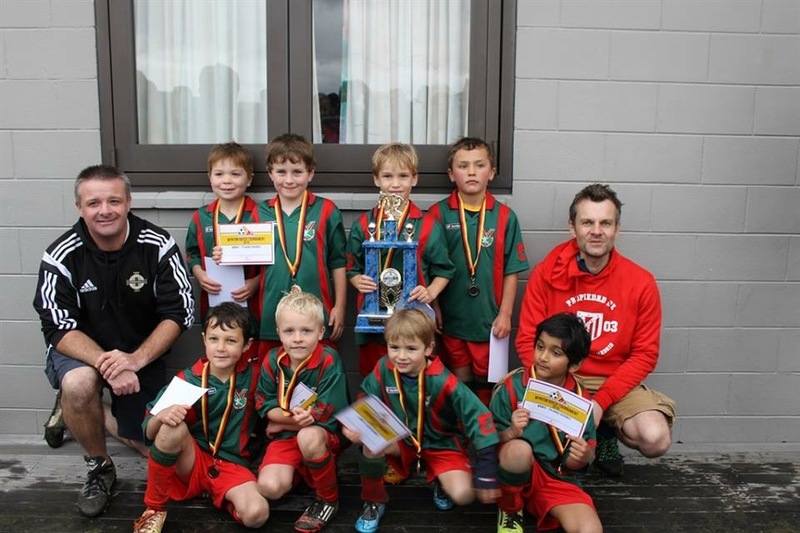 OJFC took multiple teams to the very popular Wynton Rufer Tournament held in May every year. This years results from the Onslow teams competing were fantastic and by the looks on the faces of the players in the photos below everyone thoroughly enjoyed the day. Well done everyone ! A report by Mark Gilchrist – Coach for the victorious Gavaskars. Photo of the G10 Gavaskars by Simon Gianotti. 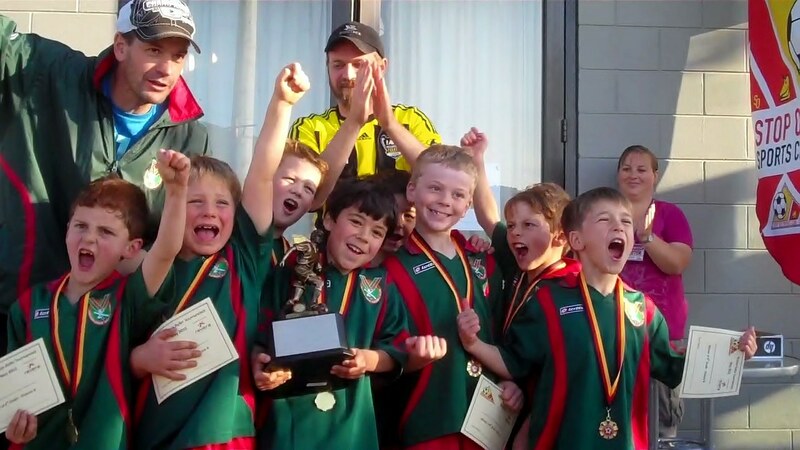 Another great weekend of football was on display at Mazengarb Park, Paraparaumu over Good Friday, Easter Saturday and Easter Sunday in a wonderfully run tournament by KCU Football Club. A big thank you to KCU for running this annual event and for organising such awesome weather. 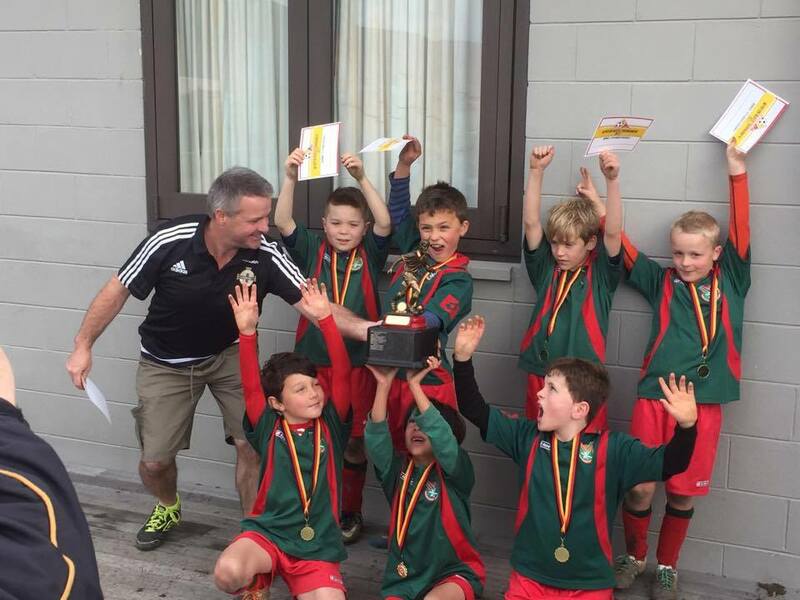 Onslow Junior Football Club were the overall tournament winners for the first time since 1991 and so it was a very special occasion for all involved. The full list of results, reports and photos are still to be published here once I have them all. 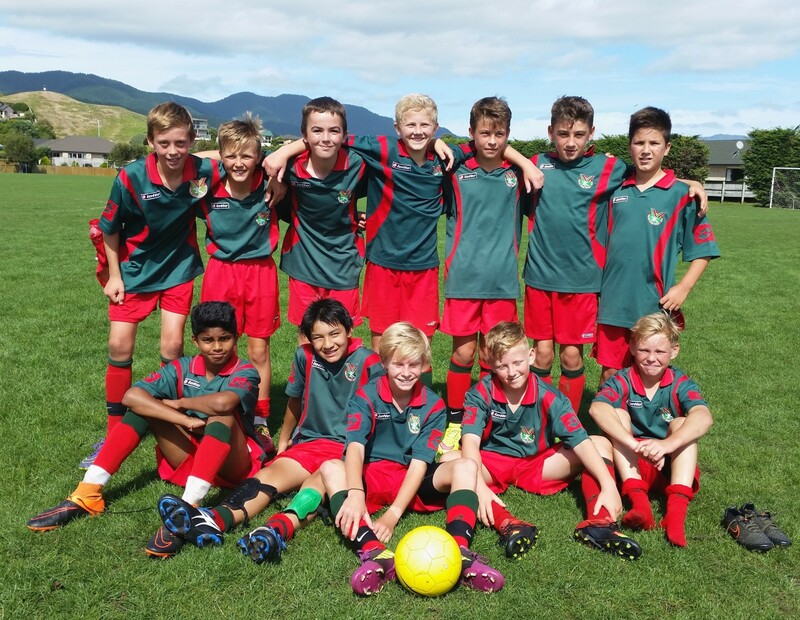 U17 – Lower Hutt 1st. Onslow do not have a team in this grade. An account of the day by Aaron Beasley from the G13 Amritsars. We started the day with the thought of 5 hard teams and a long, hard thrill ride of playing hours of football. We knew it would be tough but our team had won our grade in this tournament before and we had it in our minds that we could do it again. But this time something had changed, the size of the pitches and goals and new team members. Our new team member Ben Latham opened the scoring for us and we were all very happy for him. This ended up being the winning goal against the hosts KCU. In our second game we had a close match against Karori which we eventually won 1-0. This time the winning goal was scored by our other new team mate Mateja. Our 3rd game was our hardest facing the newly improved G13 Miramar team who pushed us, possibly dominating but we triumphed by holding another clean sheet in a 1-0 victory. By now our legs were getting a bit weary and we still had to face 2 teams (Upper and Lower Hutt) of which we knew would be hard, but we knew they would be tired as well. We went into the 4th game against Upper Hutt with the right mind set and we won 3-0 and I thoroughly enjoyed the game because we played well as a team. 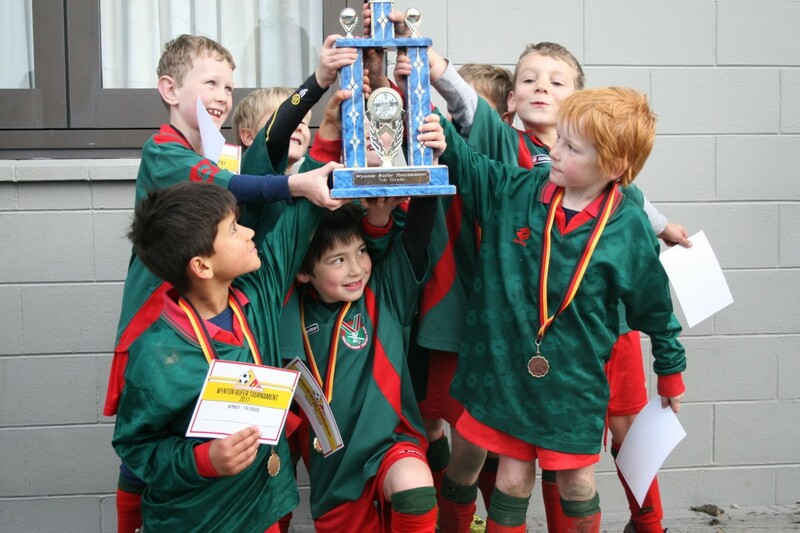 Our final challenge was against Lower Hutt – we had faced them before in tournaments and knew what we were up against. To our surprise we outplayed them and were victorious 4-0 in another great team performance. The grade 12 Karamu team “played our best ever as a team” on slidey Masterton mud to come runner-up in the 2015 Douglas Villa tournament. 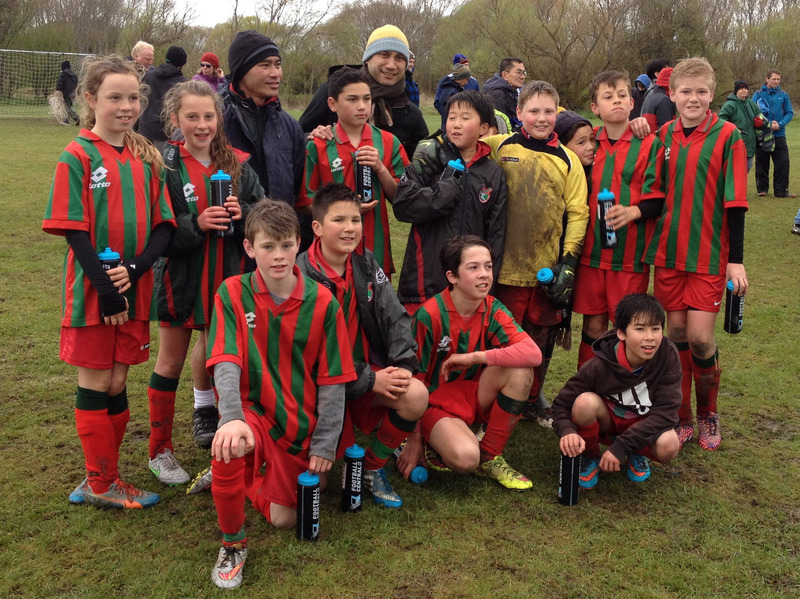 The B-streamed side finished second to Petone (2-0), only conceding three goals all day. They’d given their all in a semi against Miramar that finished nil-all and was decided on penalties 3-1. Goalie Fraser MacAuley was a mud-bedecked hero, saving 3 penalties in treacherous conditions, while the Onslow penalty-takers netted their shots. Everyone played themselves out, including two who had been off sick for a fortnight, and two straight from a girls FTC game-day in Palmerston North the day before. The conditions demanded tight ground passing, staunch set pieces and a curious kind of skating tackle more often seen on ice rinks. Grade 12 this year had something of an altered field, with no Wests teams, and various clubs having at least some A players away at FTC. Onslow had a team in each of the four pools, including the Awaruas and the GOSL Lucknows – the C-streamed Lochiels were unlucky to draw the pool of death with Karori, Upper Hutt and Norths A teams, but played well to hold them to small margins with no subs. This is an annual tournament run by the Stop Out Football club for Grades 7, 8, 9 and G10. OJFC sent teams in all of the grades and it sounds like the weekend was a festival of football in glorious winter sunshine. 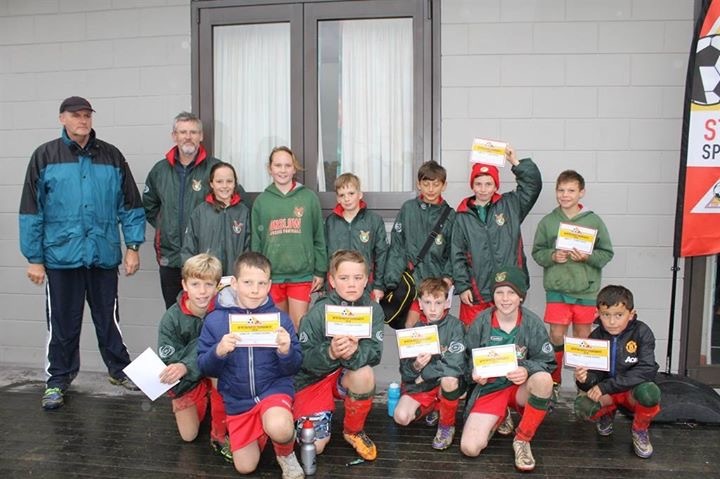 We had an all Onslow final in both the Grade 7 and Grade 8 age groups – what an amazing achievement. A wonderful account of the tournament by Sam Walker, as experienced by the Winstons Grade 7 team. “George Dinnan loves his soccer. His 7th birthday was on 22 May, the Friday before the tournament and he got a soccer goal. He immediately set it up inside and had been practising all Friday and Saturday for the tournament. An amazingly sunny day made for a well organised tournament. George joined the Winstons team with 2 of his team mates from the Ramphals, Connor O’styke and Will Graham. They were joined by Zach Lindsay, Ashton Lilley, Thomas Nischalke and Harry Ward. Each of the boys had seen each other in the regular Saturday games, however they hadn’t played as a team before. What a team though! From the start of their first game the boys just ‘gelled’. They all instinctively knew where to place themselves on the field, were able to pass the ball to each other easily with no one player hogging it and they thought about best play to get the goals. The coach Mars Lilley did an amazing job of encouraging the boys on and off the field. David Ward did an awesome job of sorting out the ’subs’ every few minutes so each boy was hugely involved in every game. As the games progressed you could see the team working very well together. The Winstons won 5 out of 5 games to take them to the finals. 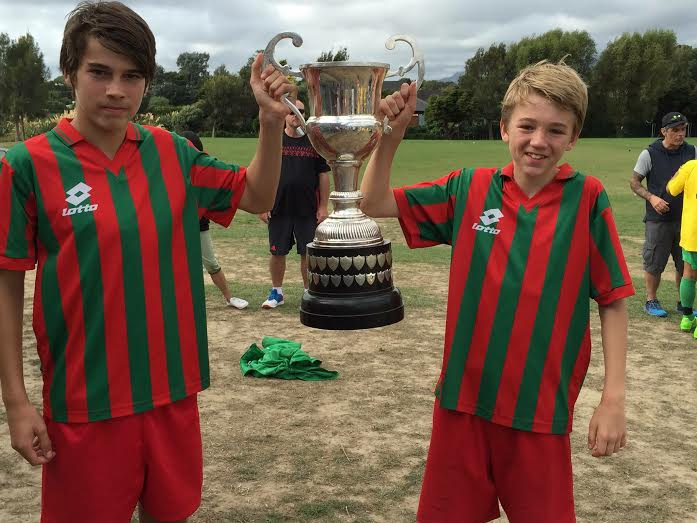 They won the finals against another Onslow team 3/2. Nail biting stuff. The all Onslow Grade 8 final clash as told by Aaron Alexander. “The two 8th Grade Onslow sides – Victory & United – arrived at Stop Out on a beautiful winter’s day, ready to have fun and play some great football. 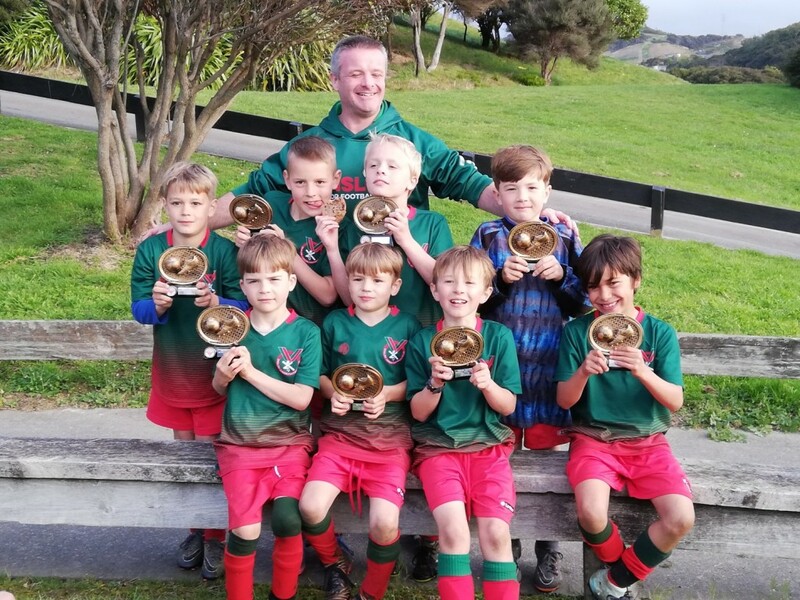 And what a huge day it was – each game is twice as long as their regular Saturday matches, and the boys play well over 2 hours of football over the course of the tournament, fuelled by snacks, sausages and a sheer love of the game. As each round went by, the Victory and United crews checked in on each other and it was clear both were doing well. After lunch the luck of the draw found us each playing a final pool game against the other undefeated team in our sections, meaning that if both teams won, it’d be an all-Onslow grand final. And that’s exactly what happened. By this stage, the other teams in the grade had finished their matches and were heading back to the clubrooms, past our field. So we began to gather quite a substantial crowd watching this epic all-Onslow contest, and it only seemed to spur the guys on. Despite the huge amount of running they’d done, the game was played at an incredible pace, and at the end of extra time, they couldn’t be separated. Exhausted and elated, we all agreed that a draw was a fair result after an incredibly exciting half-hour of football. 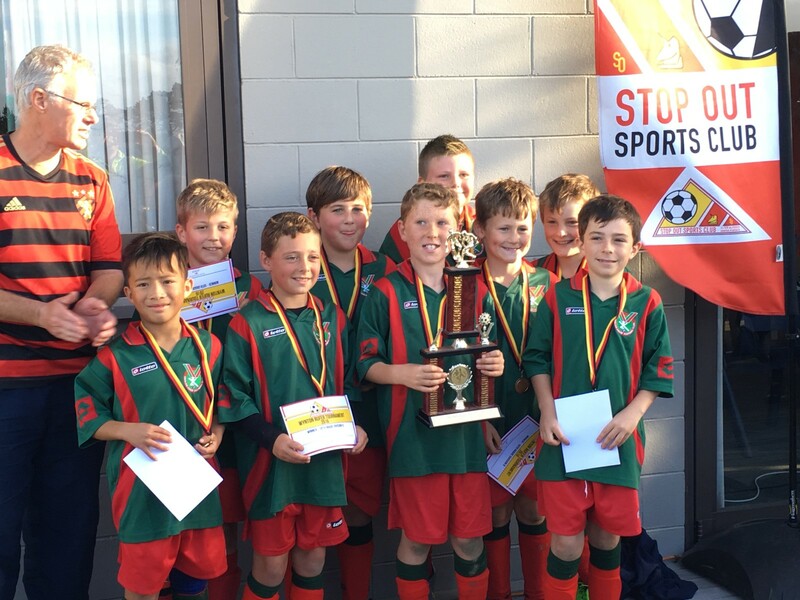 Tournament hosts Stop Out had to break the deadlock, and awarded the trophy to Onslow United by the slimmest margin imaginable – a single point of goal difference over the day. The delight on the faces of the Onslow Victory players Charlie Pope, Leuan Griffiths and Sam Law after scoring a goal in the G8 Final at the Wynton Rufer Tournament. Photo taken by Paul Hodgson. The Onslow United Grade 8 tournament winners. Photo taken by Gary Porteous. 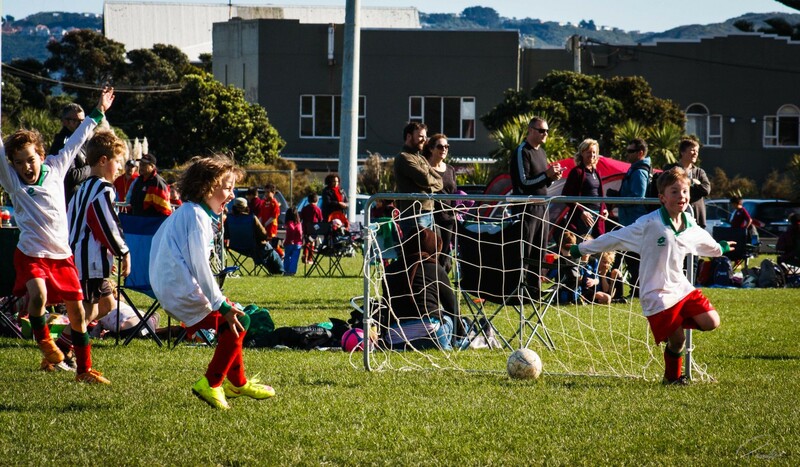 Another hugely successful KCU Easter Junior tournament was held at Mazengarb Park. 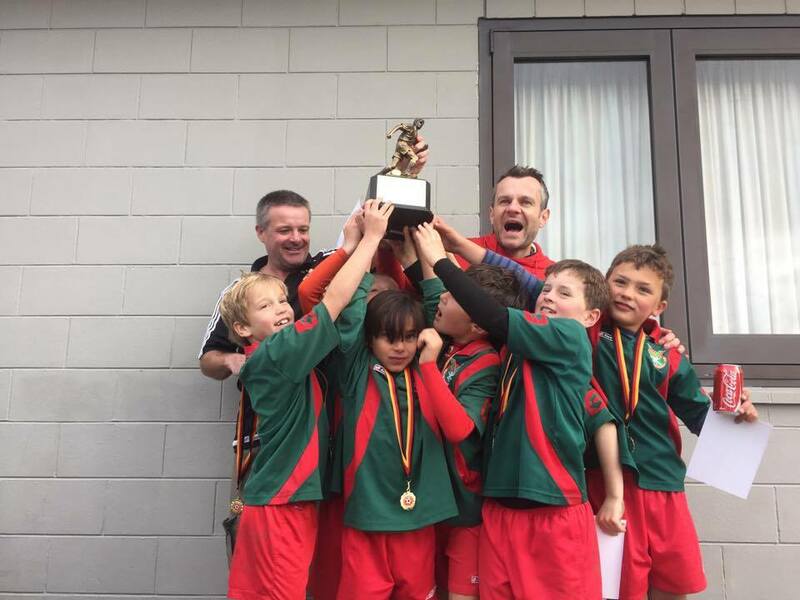 The ultimate victor was Petone FC, but 2nd place went to Onslow and 3rd equal was shared between Karori, Upper Hutt and KCU. This was an amazing achievement by OJFC as we do not have a team in the U17 age group and hence miss out on points awarded in this age group.